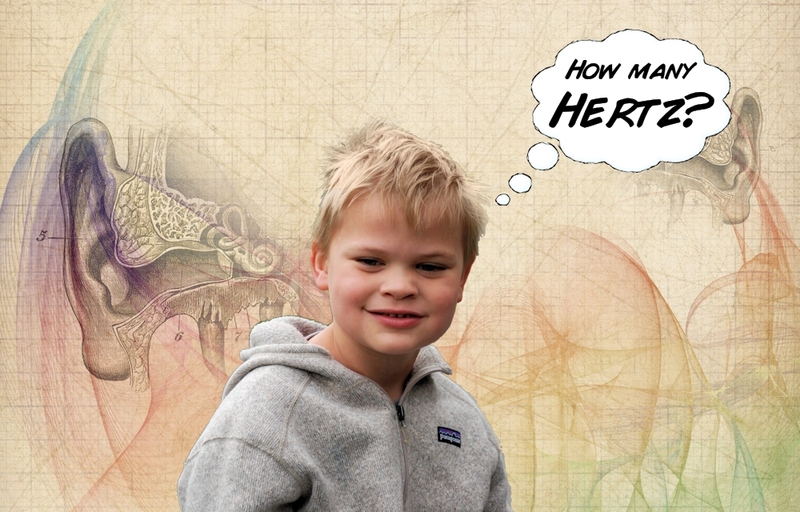 Should I Indulge My Autistic Child? My son’s most recent infatuation is swimming pool depth. On dull hot days, we tour public pools and friendly condominium communities to check out pool depths. In-ground pools are his favorites, since above-ground pools are uniformly the same depth. When not investigating pools in person, Tyoma searches for them on Google images. 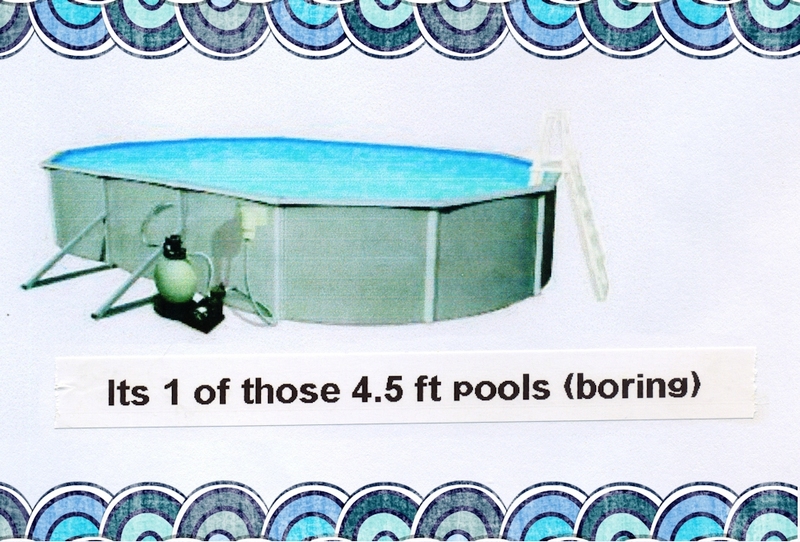 Forays into the Google universe are supervised, so I am at hand to endlessly confabulate pool depths. Grainy motel pools, glamorous Hollywood pools, and floating thumbnails of pure blue water are classified by depth. The loveliest images he prints out for his mixed media “Google Pool Book.” He tenderly embellishes each picture with a silver Sharpie and label maker. My son can spot the tiniest sliver of preternatural blue water in the most riotous children’s commercial. Tyoma’s head almost burst during the Olympics. 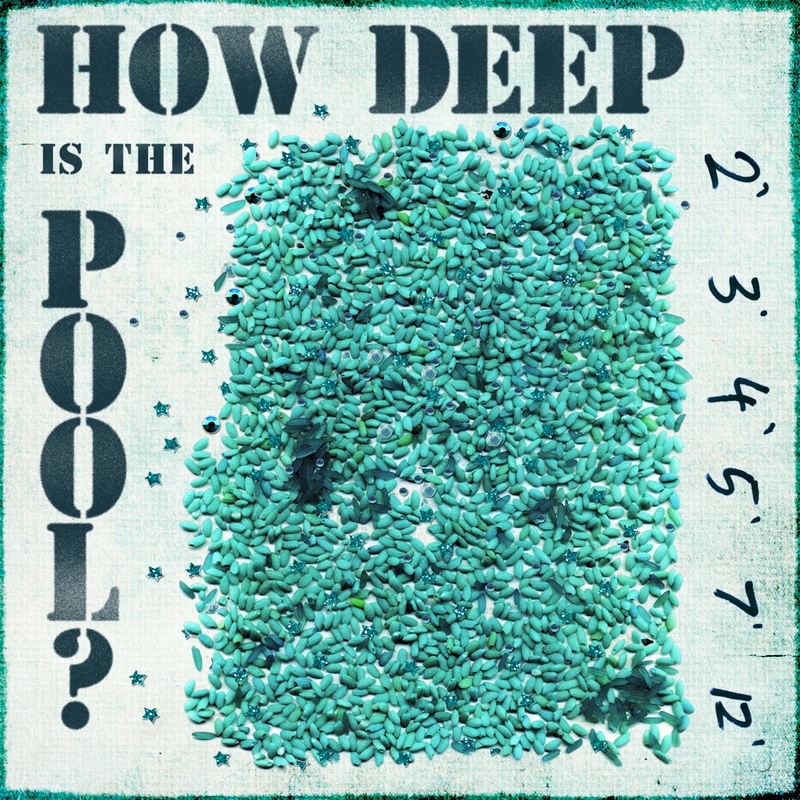 I answer pool questions until the gears in my brain erode into blissful smoothness. These slick wheels spin fantastic answers until the novelty gives my brain the teeth to grind onward again. “Two feet! Three feet! Seven meters! Fourteen fathoms!” I cheer. Some might think I spoil my son. Shouldn’t I be teaching him skills that are useful to society? Skills that will help him function in the real world? In the real world, they might say, no one will indulge him. I have some experience in the matter. For seven years I worked with adult schizophrenics as a Psychiatric Rehabilitation Specialist. I taught psycho-social skills, an ironic subject for one on the autism spectrum. The big issues of life did not interest me–I was not a counselor or a therapist. My job was everyday functioning–how to live fifteen minutes at a time when cognitive demands overwhelmed my clients. No “cure” exists for schizophrenia, but I witnessed many who turned their lives around and found a happier place. People faced with intrusive delusions and convincing hallucinations found new meaning. The secret was not the big picture—the career, the education, the house. The secret was the moment—a shared meal, a finished task, a sad friend comforted. Discrete bits of purpose strung across days added to a larger, braver whole. Consider modern life. The medium through which I reach you abides because our climate, commerce, and resources precisely balance . If disaster struck, the former big things would crumble. Humanity, once leveled, survives not just to eat, sleep, and keep warm. Humanity craves purpose. My job was to guide my clients as they cut life in to small purposeful pieces. I do the same for my son. Special interests give Tyoma purpose. Resilience is taught by integrating pool-love creatively in daily life. If I show him abundant paths and approaches, he will travel to his goals in spite of obstacles. Drive and kindred spirits will never leave him. So, I will indulge my son. We will harness his eternal enthusiasm to explore every aspect of pool depth. Or…perhaps we shall nurture his new-found affection for hearing tests instead. Sep 1 2012 Sep 20 2015 Lori D.
I would also check and see if youtube has the clip from the olympics that talks all about the pool design, it will give you a break while he still gets his much needed pool info. Thank you for visiting Felipa! I appreciate the information about the youtube clip! We are always looking for new videos to watch! He will be thrilled to watch and take in the information. Well of COURSE you should “indulge” your son. I put indulge in quotes because I am not even sure this deserves the somewhat negative connotations of that word. If you did NOT indulge your son in this way, you would be saying “stop being interested!” What kind of a message is that? Our son has had various fascinations – trains (we spent most of a vacation to San Diego at a model train museum), dinosaurs (sometimes we went to the AMNH 3 times in one weekend), the size of the various states, automobile insignia (or whatever you call the doodads on cars that identify what make it is) etc. I appreciate your visiting with me! You put things in perspective when you pointed out that to deny him is to say, “stop being interested.” This is close to saying, “stop being yourself.” Diversity in thinking, feeling, and expression is valueable to the human condition. Thanks for sharing your son’s fascinations. I can see echoes of T in them (and me too!). My parents took me to dinosaur parks as a child and they are some of my fondest memories. Tabulating variety is a great joy. I am glad we travel a similar path. Agree completely. I have always used my granddaughters interests to “reach” her. When she was very young it was music. She would not respond to the spoken word, but if we sang to her we could get her attention every time. Her interests have changed over time and we continue to support and “Indulge” her in them. Meet them where they are. Thank you for visiting Laurie! You are so right, music is a miracle for reaching out to kids. Singing out instructions helps T to keep his focus and it’s fun! Meeting a child where they are at is the perfect policy. Sometimes, this can be lost with all the uniformity in modern society. I appreciate you visiting with me! What you have done with Tyoma has sparked some ideas to do with Daniel! Yay! I understand what you mean about being too overwhelmed to think in big pictures. So much of the future is unknowable, at times it is best to take life one bite at a time. Keep up the good work with your kiddos! Every “indulgence” is actually building a bridge for your son to the world. Who knows what and where one of his interests will lead him to as an adult. My own special interests have lead to various fascinating careers as an adult. You’re a cool mom with a cool son. Thank you so much for the comment and the encouragement! I like what you said about building bridges. Connecting to soceity does not have to be social. Each well-loved niche pursued by a person enhances humanity. Could Babbage have imagined an iPad? Special intrests are wonderful. I’m glad to hear that thay have given you such pleasure (and success!) as an adult. This post totally inspired me but has taken a few weeks to pull my inspiration off. I finally went flying last weekend and was totally obsessed with using my zoom lens to take photos of pools at different altitudes from 1500 to 9300 feet. I thought Tyoma might like to see how pools look at different altitudes. And now, maybe the best way to share the photos would be in a post, written to him, with the photos and link back to this post. Is that okay with you? Oh! My! Goodness! I cannot describe the elation I have over the prospect. Our whole family would be so delighted if you would share! And, Tyoma! He will be thrilled! airplanes plus pools! Such bliss! I don’t have enough nice words or thank yous. But after my IEP tomorrow, I am certain to find more! Hopefully I will have it done in a day or two, I will link to this post and I hope that will notify you it’s been done so you can share it with him. Good luck with the IEP tomorrow. And again, thanks for agreeing to my idea. i indulge only as much as i possibly can. after a good year of solid supermario mania, we have now grown into Batman and his MANY media appearances over the last 50 years. it’s still close enough to what your average (grown up) geek would love to explore, vision and DISCUSS but it’s the discussion that makes it a little bit heavy on my brain. i can only take so much batman any day and i think Nemo gets that now. he just tells the rest of the world about it instead. I hear you! I donated many hours to pool love, but sometimes I just sip a soda and let him talk. I used to have the same dialogues with myself as a child–my topic was dinosaurs. It can indeed be heavy on the brain. I feel so bored by the 10,000th pool question, but I think that is why we have done so many different things–to keep me from losing my mind. It’s harder with video games, though, because it is data collection rather than arts and crafts. Thank you very much for visitng my blog and dropping me a line! It’s wonderful to see the world from a clever young child’s eyes. I’m old enough now to question my understanding of “the real world” from the perspective of a protective parent.. Looking back, I think I over-worried. My Asperger child is a teenager now and doesn’t feel the need to share his interests with me as much. I found this great website http:// neurotypicalsyndrome.wordpress.com/2011/08/04/nt-syndrome-diagnostic-criteria which helped me understand how he sees the rest of us: those who define themselves as neuro-typical. Asperger people have always been with us and are an essential part of a well-functioning society. I love the way he indulges us. Now that I have stopped worrying we are having a great time. Thank you for the thoughtful comment. I appreciate your reflections on parenting, I know I worry, but that has more to do with my nature than my son’s progress. I feel reassured by the parents of older ASD kids, giving their support. I will check out your link, just reading the url, I am very curious. I find your attitude towards people on the spectrum to be delightful and very encouraging. I embrace neurodiversity and feel buoyed by meeting others with the same perspective. What a great post! I agree with everything you’ve said! Yay! I was worried that the post was going to say the *opposite* and was asking myself “Why did I click on this? !” (Answer, Because Ariane Zurcher tweeted it). Let *all* kids explore their interests, although I will say that we Autistics tend to become MUCH more interested in what we are interested in than the “typical” person. Thank you for visiting with me! Ariane is buckets of awesome. I appreciate her perspective and advocacy. I agree with you totally. One of the joys of being autistic is the bliss special interests bring. 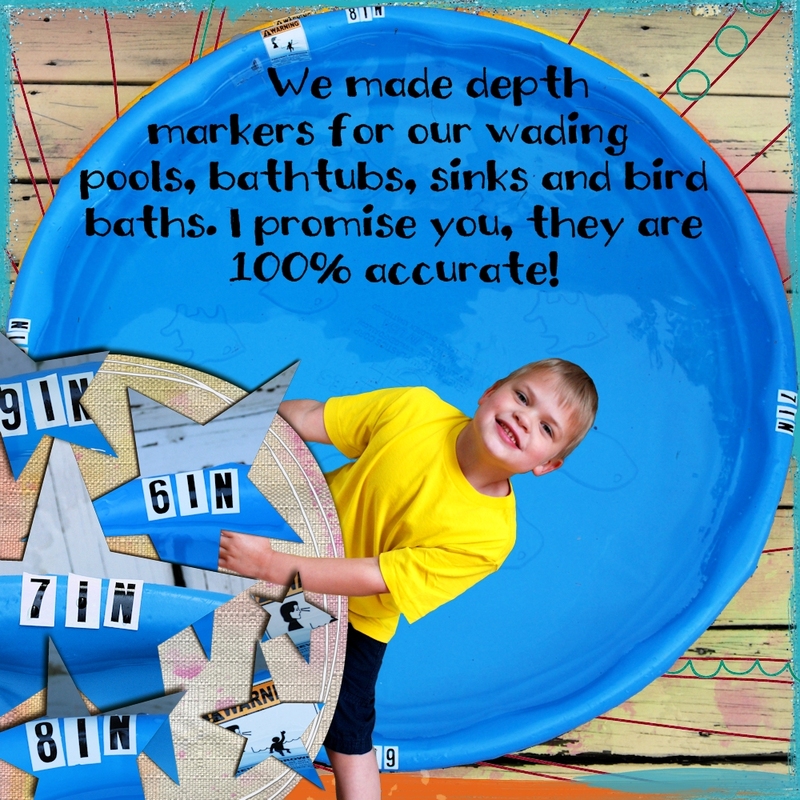 My son loves pools and I love maps. I think that the only joy greater than maps or pools is finding a kindred spirit to share them with.